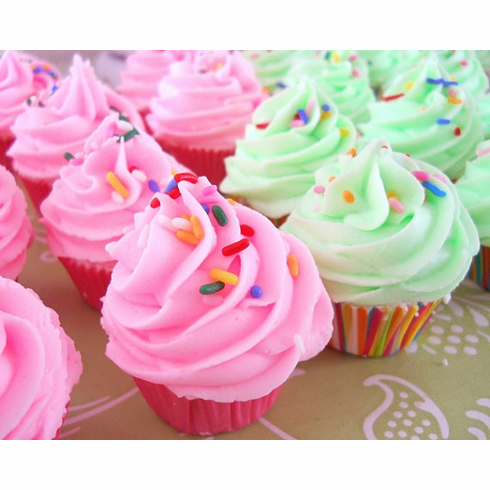 These cute mini bath bomb cupcakes party favors will make a great addition to any party! This listing is for a set of 30 and you can choose up to 3 different scents/colors. Just let me know what scents/colors you want at checkout. They will come inside a clear cello bag with a bow, and a card stock scalloped tag. Let me know at checkout what message you would like on your tag. Cupcakes may be decorated with sugar balls or sprinkles. Bow, tag, and cupcake liner will match the color of the cupcake. They weigh a little under 2 oz. each and will be made with olive oil. We do take rush orders, but email me first to see if I can accommodate your needs. I don't charge extra for this because I always I try to be as flexible with my customers as I can. Depending on the situation, you may have to pay a little extra for any rush shipping fees that USPS may charge.